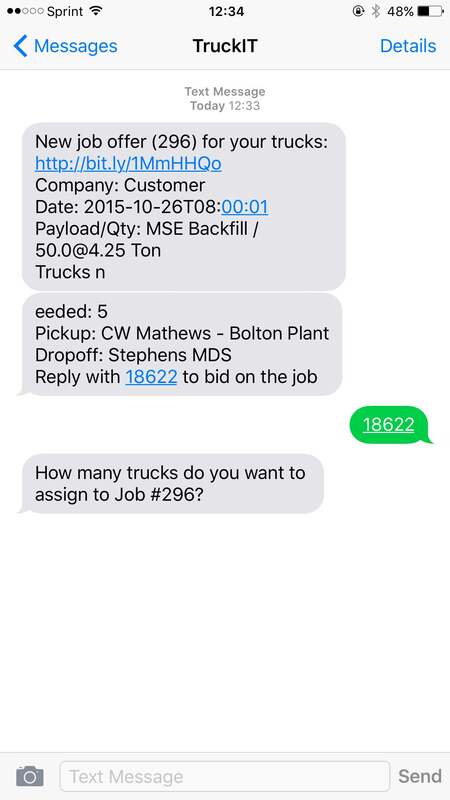 TruckIT offer truckers the option to recieve text notifications to their cell phone when jobs are posted. The text will appear as shown below. Open the website, , which will take you to the TruckIT sign in page. Respond to the text using the 5 digit number as shown, . If you choose option 1, simply login and bid on the job using our mobile friendly website. If you choose option 2, reply to the text with the unique 5 digit code as shown below. After replying with the unique code, the website responds. This is where you reply with the number of truck bids you would like to assign to this job. 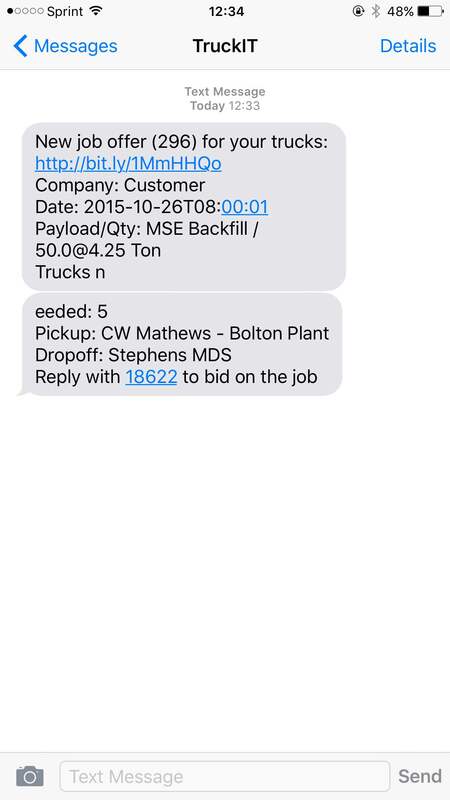 You will then recieve a text notifying you the number of truck bids assigned to this job. 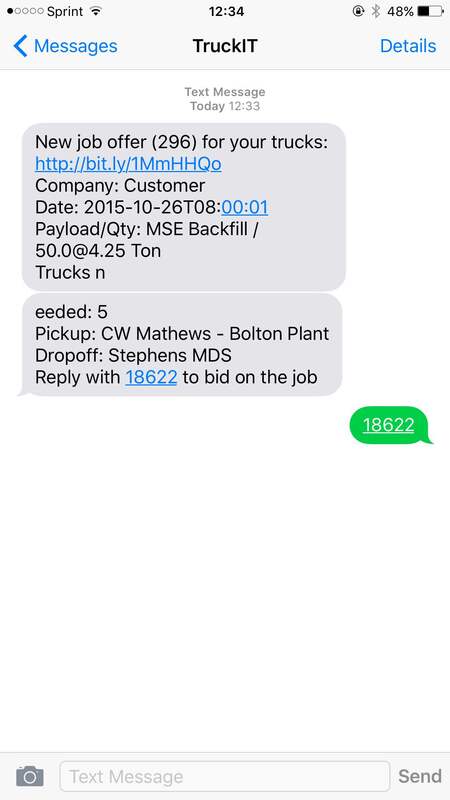 If you notice the time the text message was sent and the current time on the image above, it took only 2 minutes to bid on this job without making any phone calls or logging onto the website. The text feature was created to make bidding on jobs as simple and convinient as possible. 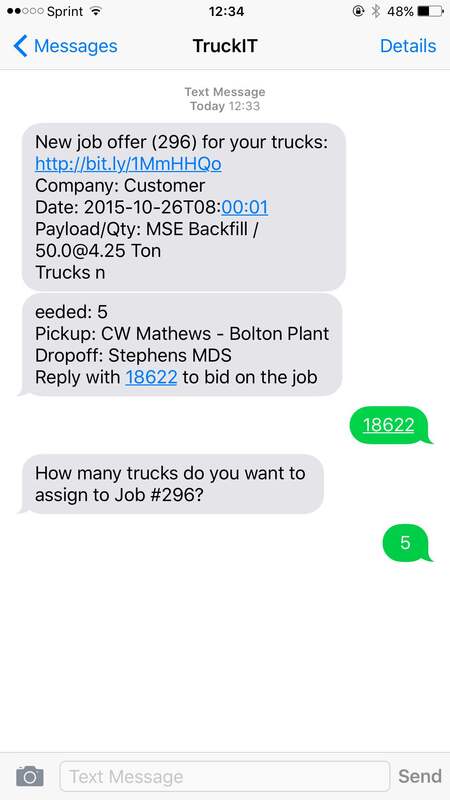 You just bid on a job in 2 minutes by sending 2 text messages!